Wajdi has more than 7 years of experience working in Corporate Finance and Management Consulting in a wide range of sectors in the Middle East. 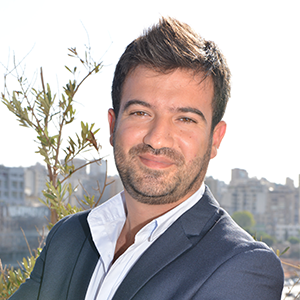 Prior to joining MEVP, Wajdi worked for AlixPartners, a leading consultancy firm in Dubai. He executed business planning, debt restructuring and enterprise improvement projects for key global and GCC clients. He supported the firm’s growth in the region having been one of its first recruits based out of the UAE. Prior to joining AlixPartners, Wajdi started his career with the Valuation and Economics team at PricewaterhouseCoopers in Dubai. At PwC, he worked alongside institutional and corporate clients on mainly independent equity valuations and business reviews as part of M&A engagements. Wajdi is equipped with a broad international experience having been raised in Lebanon, attended university in Canada and started his career in the GCC. Wajdi holds the Chartered Financial Analyst® designation and is a member of the CFA Institute. He graduated from The Richard Ivey School of Business at Western University, Canada with an Honors Bachelor of Arts in Business Administration (with Distinction).